Ridgid tools have been around for nearly 100 years now. This tool manufacturer has been going strong for so many years because of the high quality of their tools and the results they provide. That brings us to their cordless battery powered GEN5X 7 1/4 in. Circular Saw. These tools are among the most widely used tools in every household. Having one around is always a good idea because you never know when you’ll need it. The good thing about this tool is that it has the power and the versatility required even for professional use. Unlike many other cordless saws on the market, this one is a bit bigger and has a larger saw blade, so you’re able to make deeper cuts and work with thicker pieces of wood. The saw has everything you could ask for including a bevel detent system, a hex grip for increased user confront, a blower that clears your work area up as you go, and some other very useful features like the grip light. So, if it sounds good to you so far, read on and learn all of the detail of this excellent circular saw. If you’re into woodworking and if you spend a lot of time cutting wooden beams and boards, you know that a reliable circular saw makes all the difference. Well, if you want to get a cordless saw that has the power and versatility of a cordlike tool, the GEN5X 18V Circular Saw is everything you need. Battery powered machines usually sacrifice power to increase mobility, but this saw has both! 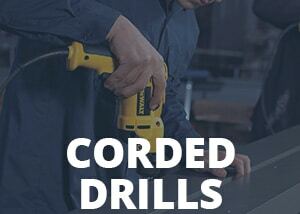 It’s one of the most potent cordless saws you can get right now. A full charge will give you over 45 minutes of constant work, which is also impressive given that most competitors struggle to provide half the working time of this device. Not only that, it’s size and the 7-1/4 in. saw blade can make deeper cuts, giving this saw even more value for the money. The bevel is adjustable, and it has a scale and a depth scale too. That makes it possible for you to make identical cuts every single time. The dust blower keeps the work area clear of debris, and the LED light illuminates it. These two features make sure that you make perfect cuts every time, which is more than helpful. So, let’s take a look at the features, design, and battery power. Ridgid is a tool manufacturer known to go that extra mile and their tools are superior to most other brands on the market. Their GEN5X circular saw has a couple of handy features that will make all of the difference in your work. The first thing we’ll mention is the heat treated aluminum base that increases the durability of the device. It is designed for everyday use, but also heavy-duty applications. This tool can chew through the hardest wood with ease. The 0 to 56-degree bevel detent system is just genius. It stops at common angles and allows you to make quick bevel adjustments on the go. The straight line blower is also a small but beneficial feature that clears the work area in front of the blade, so you always have a clear surface to cut. That decreases the chances of making bad cuts, which is a great thing for beginners. The saw also has a built-in grip light that works independently of the trigger. You can turn it on to make sure you have a clear view of your workpiece. Together with the dust blower, the LED light makes sure you get ideal results every time. The GEN5X cordless circular saw is one of the best looking such tools we’ve ever seen. It’s got a great design and feels very durable and well-made. The blade for cordless saws is usually 5.5″ in diameter, but this one has a 7.5″ blade. That means that you can make deeper cuts and work with thicker pieces. It also means that the tool weighs more than others, with 8.5lbs, it’s almost twice heavier than other saws. However, it’s just light enough so you can work it without getting tired quickly. The Max cutting depth at 90 degrees is 2.44 inches. That means that you can use the saw on a construction site, just make sure you bring the battery charger with you. The 18V battery powering the GEN5X Circular saw is very powerful and reliable. It’s the standard battery used for most Ridgid cordless tools. That’s great for a couple of reasons. First of all, you can use it on all cordless Ridgid tools, and second, it’s one of the best batteries for tools on the market. Other batteries deplete in about 15 minutes of heavy use, but this one goes on for a full 45 minutes. The charger has a fast charging port that is able to recharge the battery in 25 minutes fully. Another impressive feature not found in most other similar tools. There is nothing to not like about this powerful tool. It looks great, has a wide range of application, and it runs on powerful batteries. In short -this is a tool that’s ideal for use around the house, but it’s also powerful enough for a construction site. It’s the perfect mix of power, style, features, and application. The arbor strength could use some improvement. It does work well when used for light and medium jobs, but if you use it on heavy applications, the saw can lose the center and start pulling to the side. Over 85 % of people were more than happy with the versatility and power of this incredible power tool. They used it to cut many different types of wood, and they love the work time you get from a single charge. The only negative comments had to do something with improper use. If you want to get a powerful cordless circular saw that can take anything you throw at it – it doesn’t get any better than the GEN5X. It’s the ideal tool for all applications, and it can take a load so that you can use it for heavy-duty professional projects. It’s one of the best such tools at the moment.